Art uses labour and capital. These resources are scarce. As a result, opportunity costs arise. Cultural consumers have to make a choice between various supplies of art. In a well-functioning market, supply and demand balance. Art markets, in particular auctions, are characterized by large risks that rarely exist in other markets. These relate to authenticity, attribution, quality, and theft. Some unexpected market changes may also occur. Behavioural anomalies such as ownership bias and home bias are prominent. Investment in art diversifies a portfolio. The most sensible strategy is to buy for love of art. 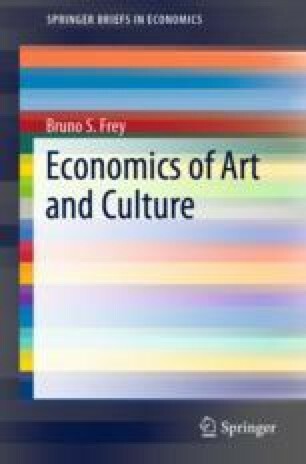 Various contributions on art markets and auctions are included in the textbooks and handbooks listed in the first chapter.